It may have taken years — years — but, at long last, DopeHouse mainstays and the rap collective of Tanya Morgan (Donwill and Von Pea), Ilyas Nashid, Rob Cave (fka Spec Boogie), Che Grand, Jermiside, Elucid, Aeon and Brickbeats — sat around long enough to finally dropped a project together. 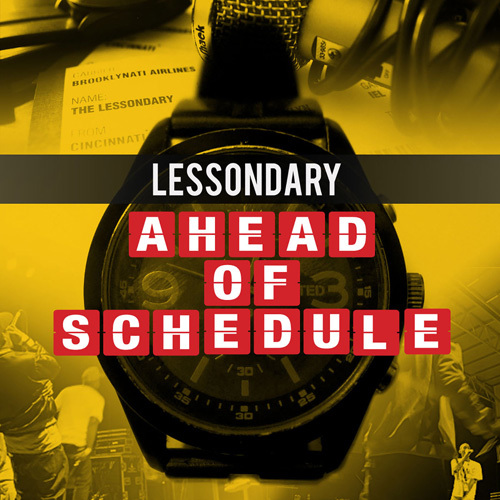 Known as The Lessondary, the group has released a 10-track compilation, with Brickbeats, Aeon, Jermiside, and Von Pea providing the sonic backdrops throughout. Stream the entire project below (and purchase here), and watch their video for their first single, “Introducing…,” down bottom.